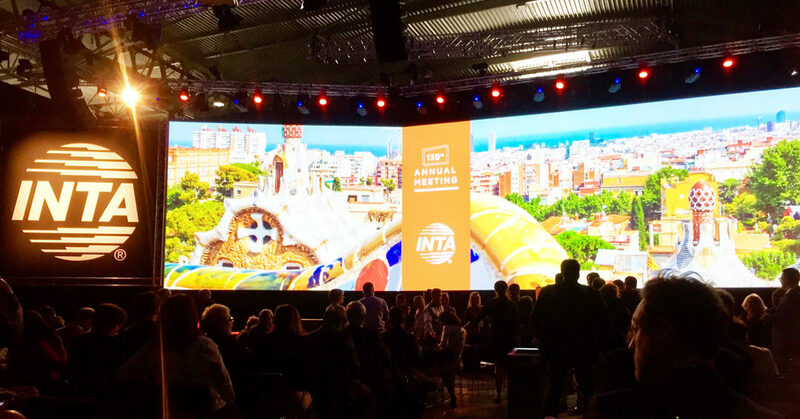 The 139th Annual Meeting of the International Trademark Association (INTA) was held between the 20th and 24th May 2017 in Barcelona, Spain. Sarah Galea and Lena Sammut, who lead the intellectual property and anti-counterfeiting department at IURIS, attended the Annual Meeting together with over 10,000 other participants hailing from all over the world. The Annual Meeting provides an opportunity for participants to meet and establish fruitful links with intellectual property firms, practitioners and brand owners from all over the world while attending informative sessions and events concerning intellectual property, the importance of brands and trademarks and important legal, economic and commercial updates relevant to intellectual property. Sarah Galea and Lena Sammut attended a number of interesting seminars provided at the Annual Meeting, including one providing an update on EU trademark law, as well as another seminar concerning recent CJEU judgments of note in the field of trademark legislation. They also established and reinforced links with a number of firms of international repute in Europe, the United States of America, China and Japan, among others. IURIS is committed towards maintaining the highest standards in the field of intellectual property and values the importance of participating in such large-scale, global events to continue to offer its clients with first-rate, professional services and advice in this field.